Professional Our sound and lighting equipment company Malaysia is the best solution that offers you excellence customer services in providing you our best quality of audio and visual equipment. All of our sound and lighting equipment is produced with great attention in delivering a premium quality of sound and lighting systems. The concept of our sound and lighting equipment supply will definitely give you an incredible and impressive audio and visual quality for you to enjoy. Our company offer expert and professional team to serve you at all time since we have grown rapidly over the years. 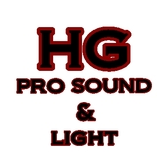 All advices and consultation on sound and lighting equipment supply will be given by certified and knowledgeable staff as you can request any kinds of demand and requirement. Our sound and lighting equipment installer has a wide range of equipment that is ready for sales, rental, design and installation. When you have trouble in finding the best equipment, our efficient staff will be able to help you to choose one. Our sound and lighting equipment supplier will be ready to serve you at any kind of request and demandin Malaysia, especially in Kuala Lumpur and Selangor. At an affordable rental price, we offer you a well-organize and fast installation and also project management service. 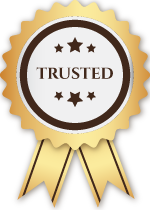 Our company assure you that every of our equipment have its own warranty and we are also able to do repair for any kind of audio, sound and lighting equipment.